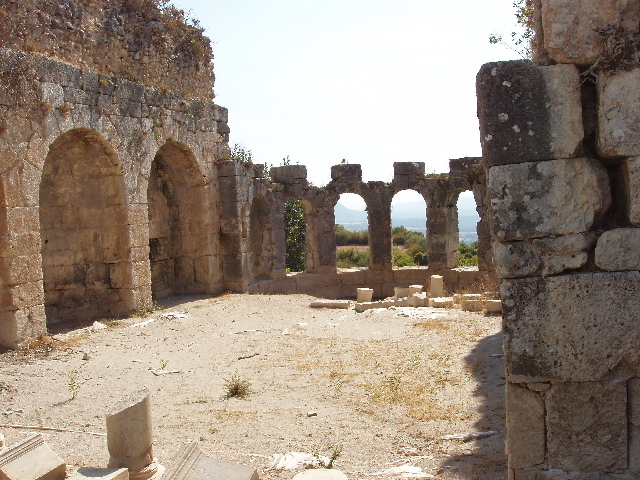 These are Roman baths, probably built in the first half of the 2nd Century AD with money donated by the wealthy Lycian citizen Opramoas. Tlos is a very ancient city. There are references to it in Hittite records of the 14th Century BC, and monuments from the 5th Century BC.